The Parade Must Go On! 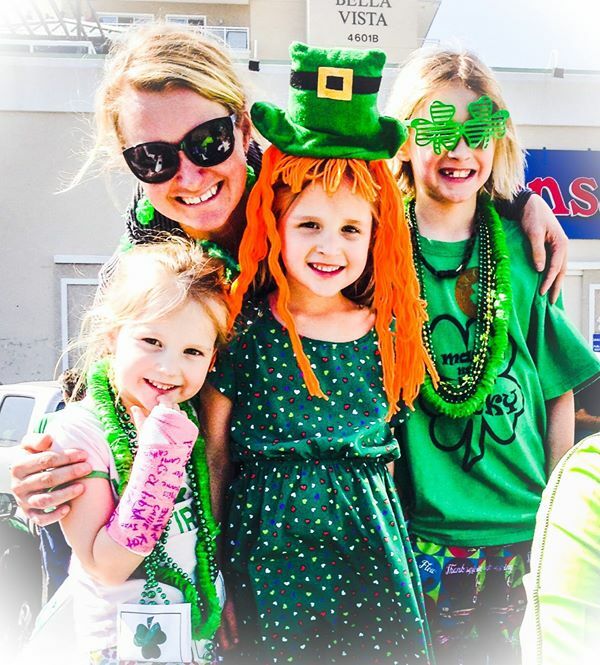 Despite the call for rain tomorrow the famous Ocean City St. Patrick’s Day Celebration is still scheduled to take place tomorrow, Saturday March 14th. So grab your green umbrella and head to 45th street tomorrow! .The party starts at 11am at the 45th street plaza where there will be plenty of Irish food, drinks and fun! The event is fun for the whole family! You can expect to see face painting, Irish dancing and music by Pat O’Brennan. Admission is free. Then, at noon grab a seat for the parade which starts at 58th street and ends at 45th street. The sounds of Ireland will fill the streets with several local pipe band and high school marching bands. Locals Kathleen and Mike Higgins will start the parade as this year’s grand marshals. The parade and festival is hosted by the Delmarva Irish-American Club. The Haley Gang at last year’s celebration!